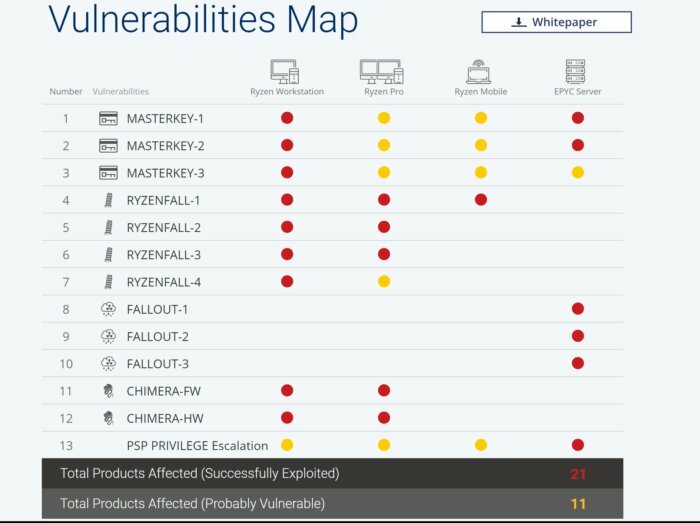 Ryzenfall, Fallout, Chimera, and Masterkey. report aims to describe the multiple, potential attacks. into the chip” and make “a perfect target” for hackers. undetectable espionage, buried deep in the system.” says the report. the vulnerabilities as soon as they can.